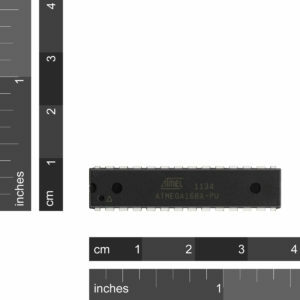 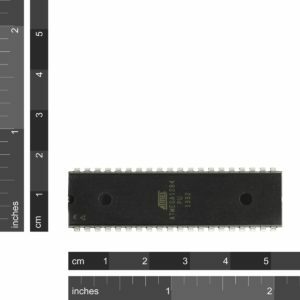 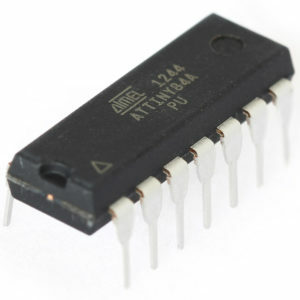 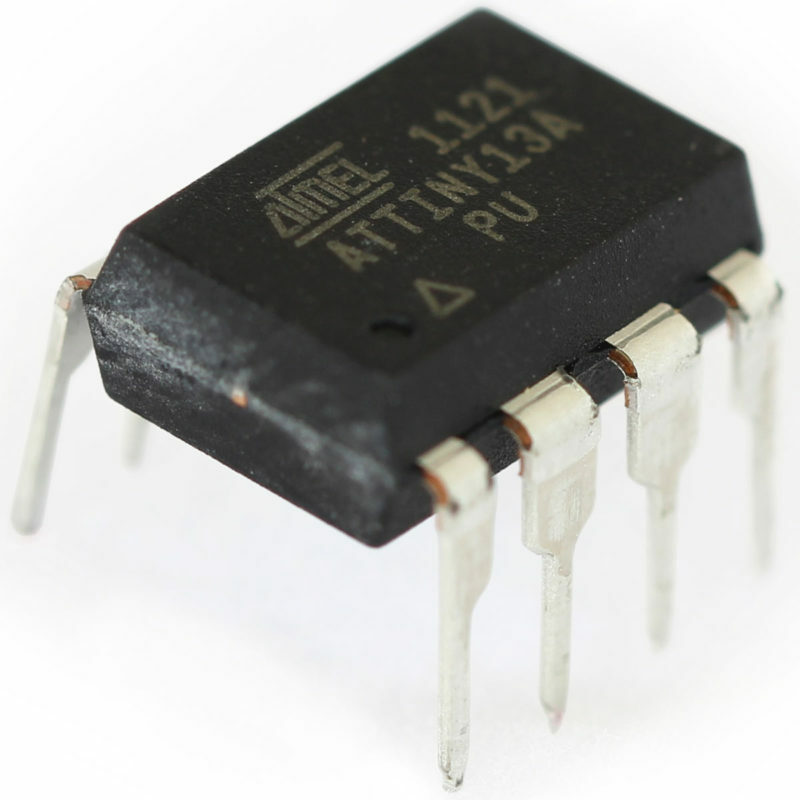 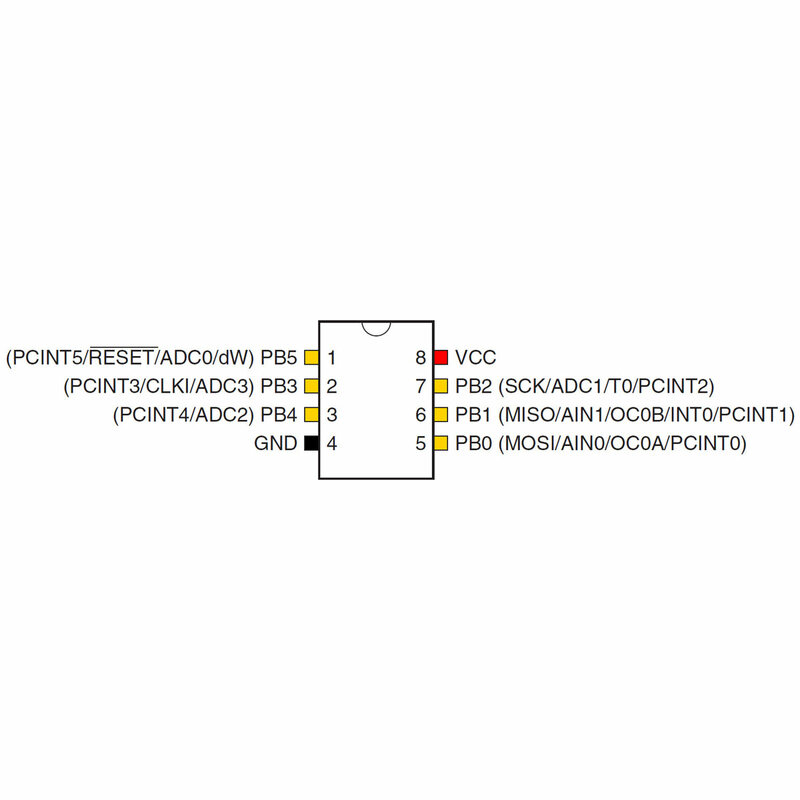 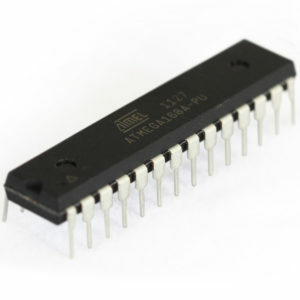 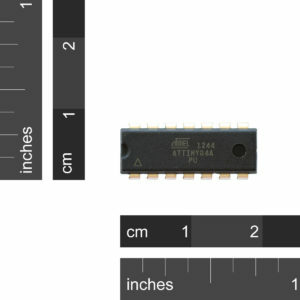 SKU: IC-ATTINY13A-PU Category: Microcontrollers Brand: ATMEL. 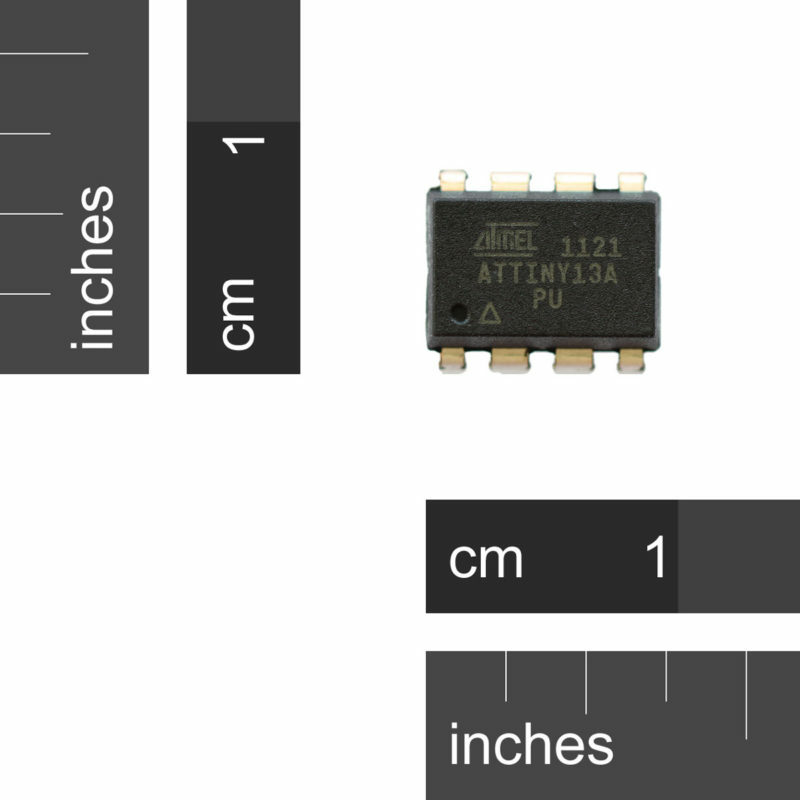 As the name suggests, this is a tiny microcontroller with just 8 pins, 1K Flash and 64 Bytes RAM. 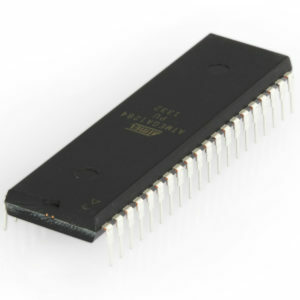 It is based on the AVR® 8 bit enhanced RISC architecture and achieves a speed of almost 20 MIPS at 20MHz by executing most instructions in a single clock cycle. 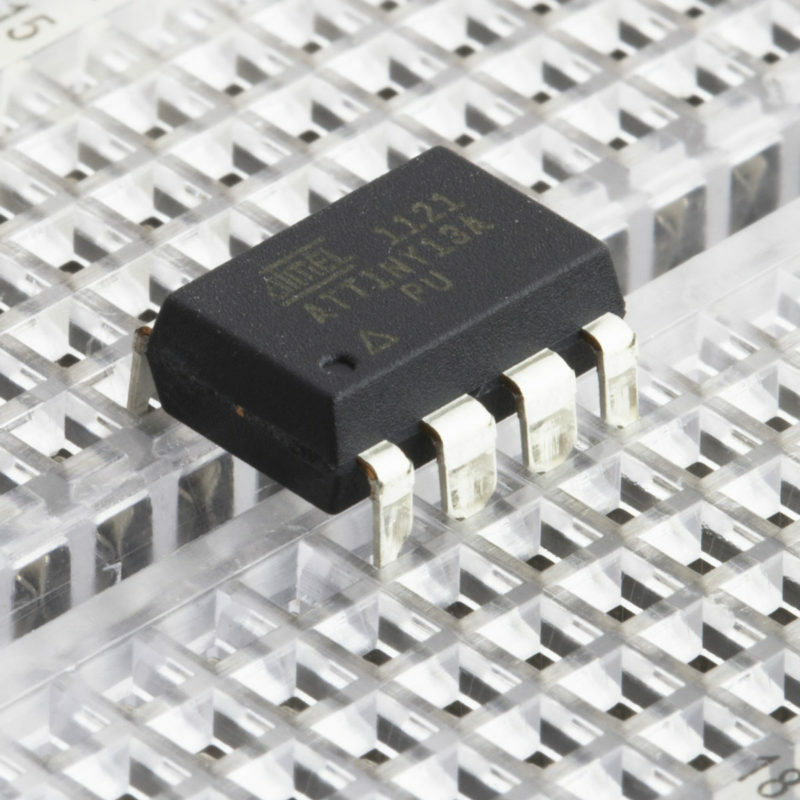 This allows system designers to balance power consumption with processing speed.